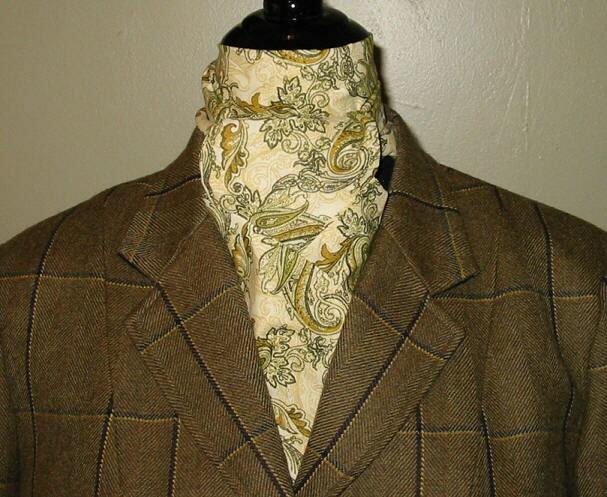 Sage , cream and tan Paisley print . 100% cotton. Size approx 4.5 wide by 78" long. Available as a 2-fold or shaped tie. Please hand wash and line dry, iron and starch as needed.